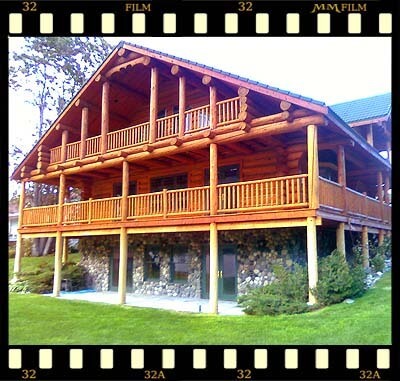 The Cyphers residence on Lake Entiat was due for a log home restoration. 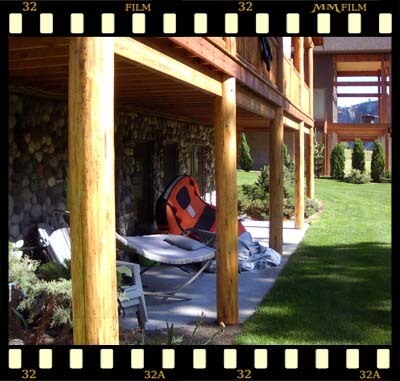 The coating on the logs had failed and needed to be removed, the logs were never properly prepared by the builder prior to staining. The staircases were rotted out and had to be replaced. 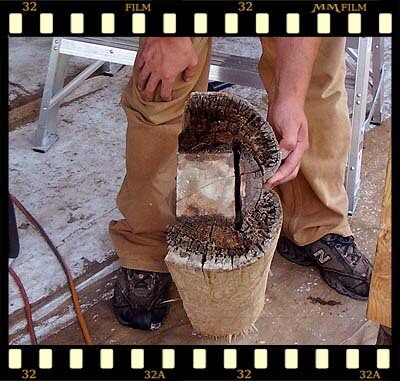 Also, the support logs around the daylight basement portion of the home had severe rot in the bottoms of every post. 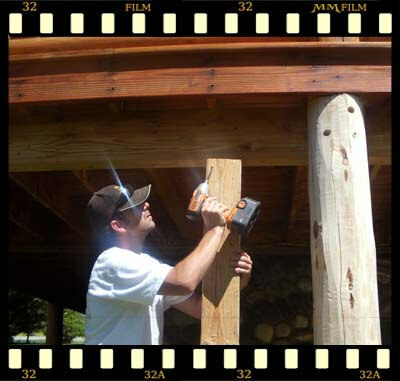 A lot of weight rests on the log posts, don’t trust this type of work to an average contractor, we are experienced in this type of repair. 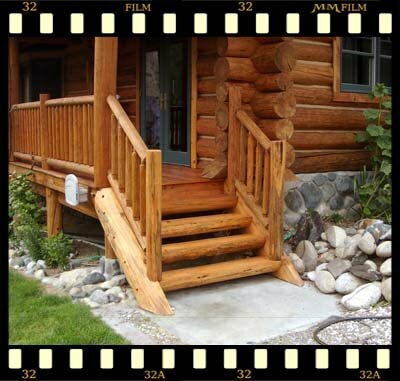 The existing coating will be removed using Lovitt’s Wood Cleaner & Brightener to get the wood to the bare log surface. 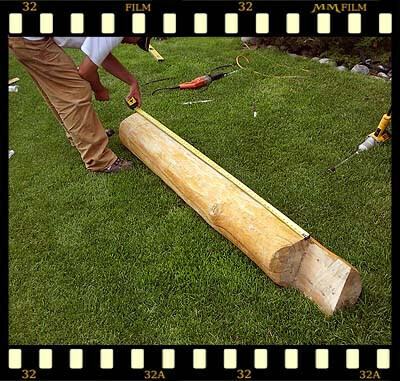 Our crews take great pride in protecting and masking off any areas that are not being worked on, protection of the landscaping is a very important part of our mission. 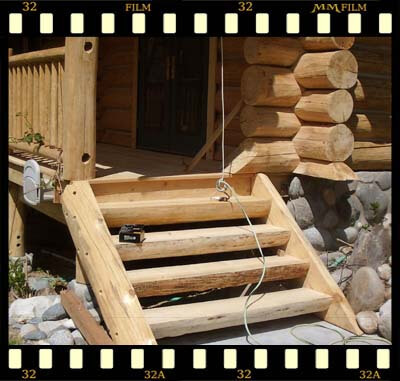 All 3 stairways coming from the decking system were also badly rotted and had to be replaced. We matched the existing style of construction and species of wood exactly. 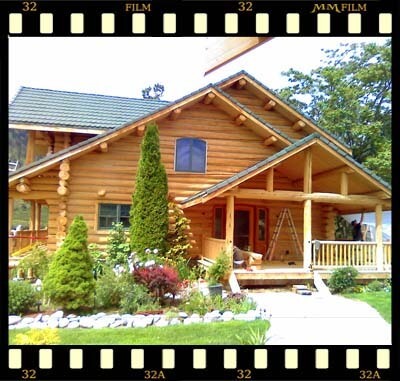 Call us to repair your log home to it’s original condition! After 8 days of sanding and preparation of these logs to a perfectly prepared surface, we are beginning the application of Lovitt’s Natural Gold oil based wood finish. We will apply 2 heavy coats, backbrushing the product into the wood until it is saturated and won’t accept any more finish. You are looking at the backside of the log home after 2 coats of Lovitt’s Natural Gold oil base finish, the support posts are now going to be replaced and custom stained to match the rest of the log home. Here is the front entry way of the log home once completed. 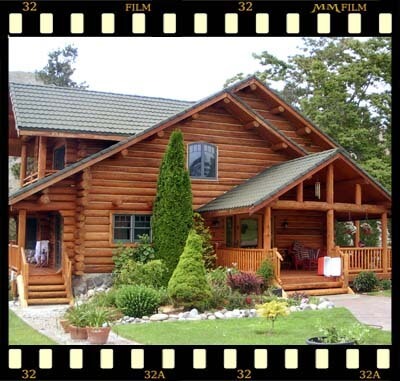 Notice the landscaping and concrete surfaces are clean and look as if we were never there, except it is hard not to notice the stunning look of the log home! 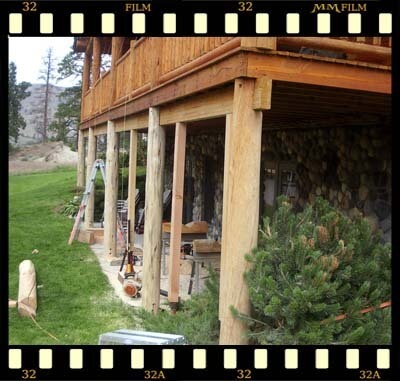 staining to match the rest of the home…. Here the stairs are complete and the safety and great looks are restored! 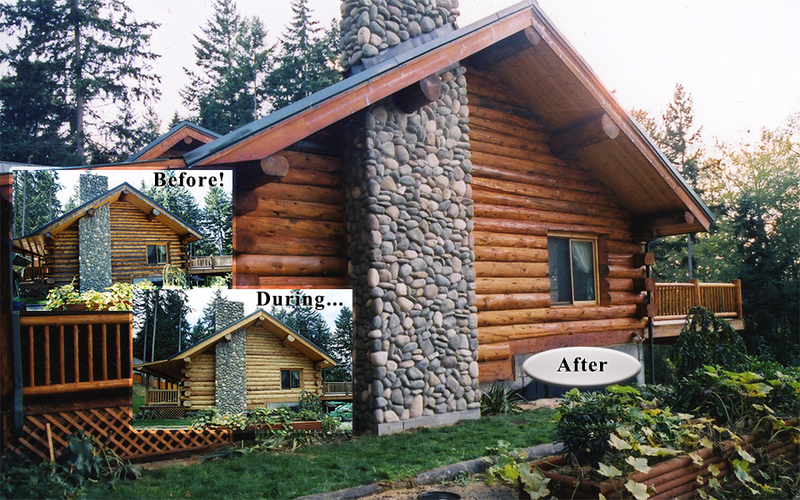 Call us now if you have a similar situation at your log home, our estimates are free and our pricing is affordable! installation and pooling water conditions. 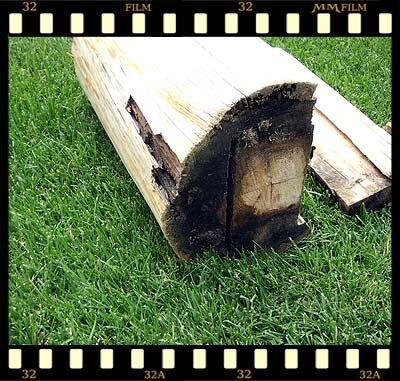 You can see clearly how the water had begun to soak up into the bottom of the log as the original builder did not seal the area between the concrete and wood with the proper method, also, the logs sat too close to the ground with no area for water drainage. one by one around the perimeter of the log home. has done in all of these post support logs. Here are the log posts installed and fastened. 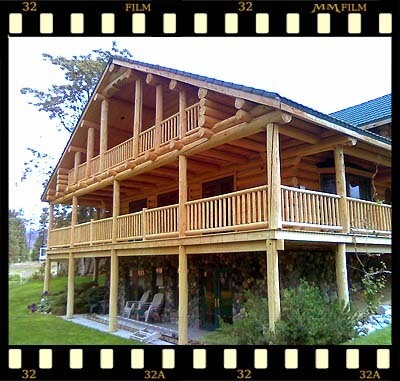 Please give us a call to request an estimate to repair your log home, we have the most experienced and skilled log home carpenters on the west coast. Our employees are background screened for your protection. 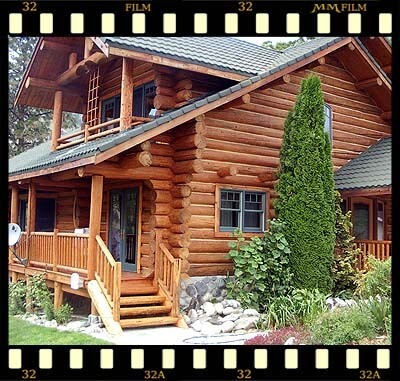 Please call us now for a free quote to restore or repair your log home! 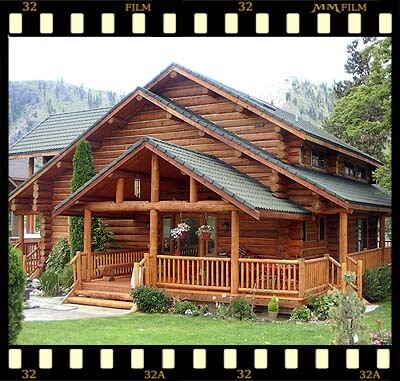 We have restored and repaired hundreds of log homes across Washington, Idaho, and California and have just as many references for you to call on to learn about their experiences with our company. As always, our estimates are free!